In its Resiliency, Air Toxics and Exemptions (“RATE”) rulemaking finalized in January, NJDEP revised the reporting thresholds for hazardous air pollutants (“HAPs”) subject to air permitting. While the reporting thresholds were loosened for a handful of HAPs, they were lowered for most HAPs, in some cases by a significant amount. By way of example, the reporting threshold for formaldehyde was lowered from 400 lbs/yr to 3.5 lbs/yr, and the threshold for vinyl chloride was lowered from 40 lbs/yr to 5 lbs/yr. 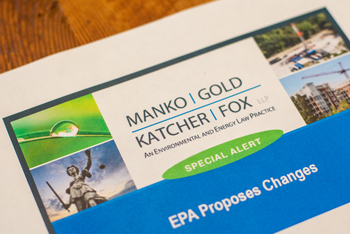 The revised thresholds will determine which HAPs must be identified in air permit applications and will apply to toxics required to be included in annual emission statements. While the RATE rule contemplates that most existing sources will address the revised reporting thresholds at their next permit renewal, the thresholds will apply immediately in the permit application process for new or modified sources. A recent memo to NJDEP air permitting staff provides more detail with respect to how reporting thresholds for HAPs and non-HAP emissions will be applied in air permits. Perhaps even more significantly, the more stringent reporting thresholds will determine whether the potential impacts of HAP emissions must be evaluated via New Jersey’s risk assessment procedures in the context of an air permit application. Pursuant to its general authorities under Subchapters 8 and 22 to require the evaluation of ambient impacts of air emissions from permitted facilities, NJDEP has indicated that sources emitting HAPs in excess of the reporting thresholds will be subject to risk assessment procedures. For more information, please contact Carol McCabe at cmccabe@mankogold.com or 484-430-2304.